These Easy Pizza Sliders are LOADED with meaty toppings. Layers of spicy pepperoni, Canadian bacon, and Italian sausage. But you can’t stop there. 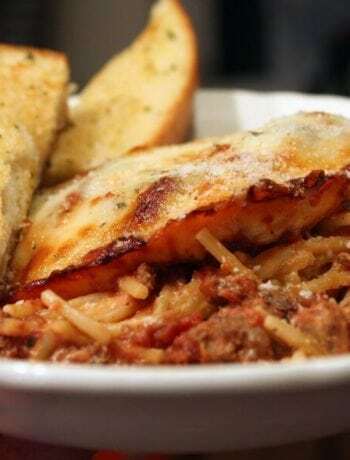 How about your favorite pizza sauce and ooey-gooey mozzarella cheese? 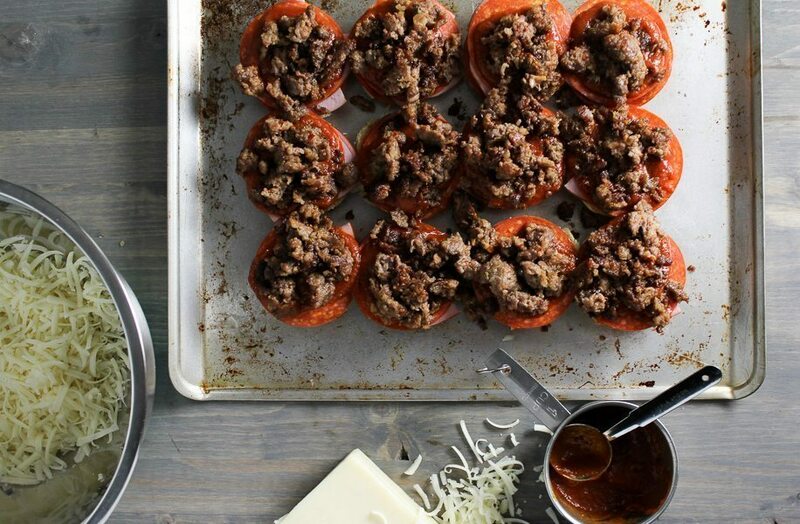 Make these like we did, or change them up with your favorite pizza toppings. (See the bottom of this post for suggested flavor combinations from our Facebook readers.) Easy Pizza Sliders are a breeze to make, bake and take to your next party. 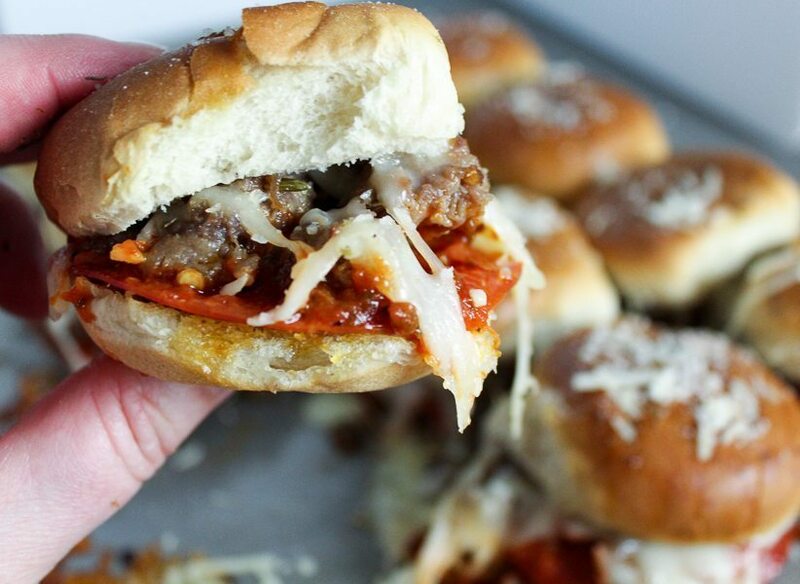 Fast and Easy Pizza Sliders are yummy, cheesy, saucy …everything you would expect and more! My peeps love a great slider. Burger sliders, turkey sliders, you name it. Put it on a little toasted bun and we will probably eat it. Keyword TOASTED. Ever get a soggy slider? Yeah, no bueno. 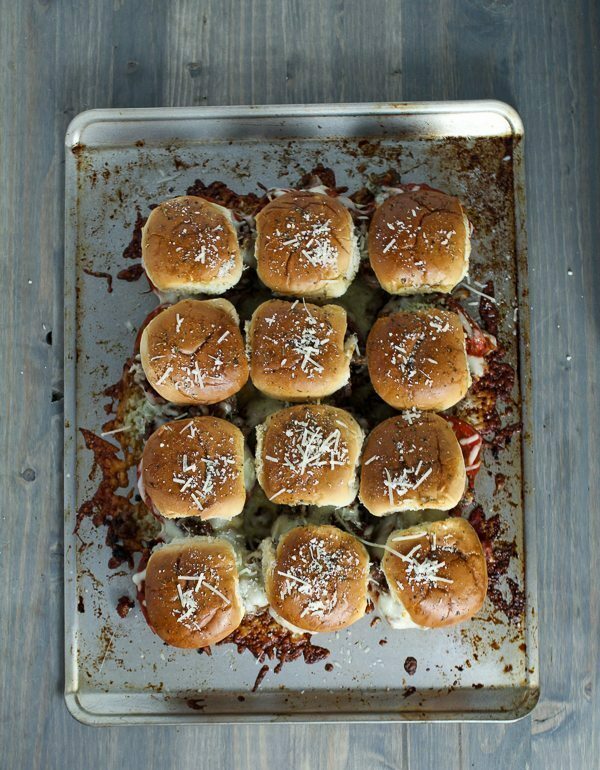 Now we are going to have fun with these easy pizza sliders. Time to top them with your favorite pizza ingredients. To keep them from “sliding” all over the place, we are going to assemble them in reverse order than you would a traditional pizza. In other words, toppings first! We went with layers (and layers) of thin sliced pepperoni and Canadian bacon. Load ’em up! Then we top each pizza slider with a tablespoon of delicious pizza sauce. 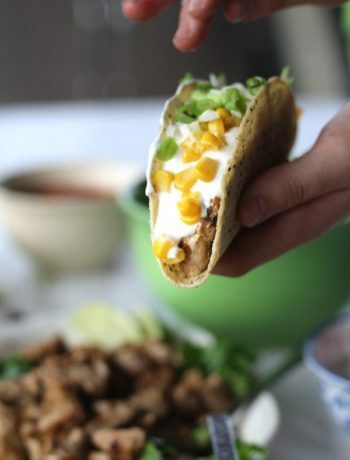 Use your own, use our homemade version…or go easy. 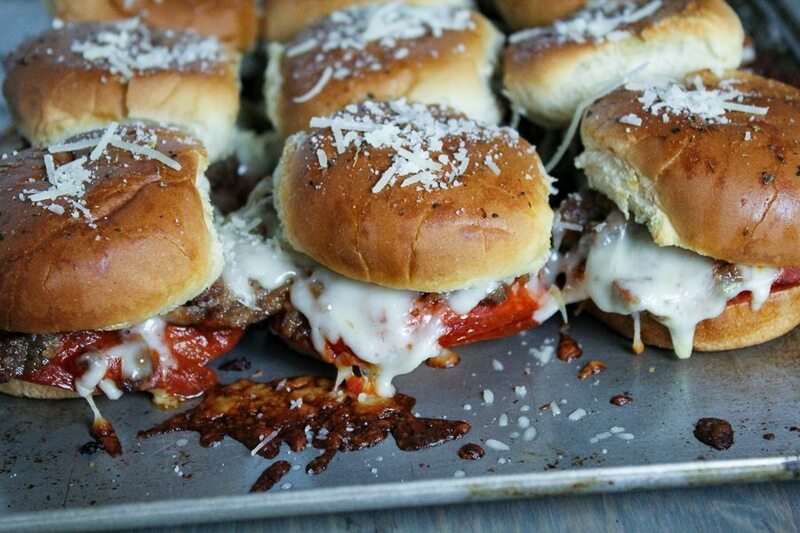 Jarred pizza sauce is just as yummy on these sliders. Don’t worry, we didn’t forget the browned and wonderful Italian sausage. To keep the sausage from falling out, we sandwiched it between the sauce and the cheese. Cheese me! 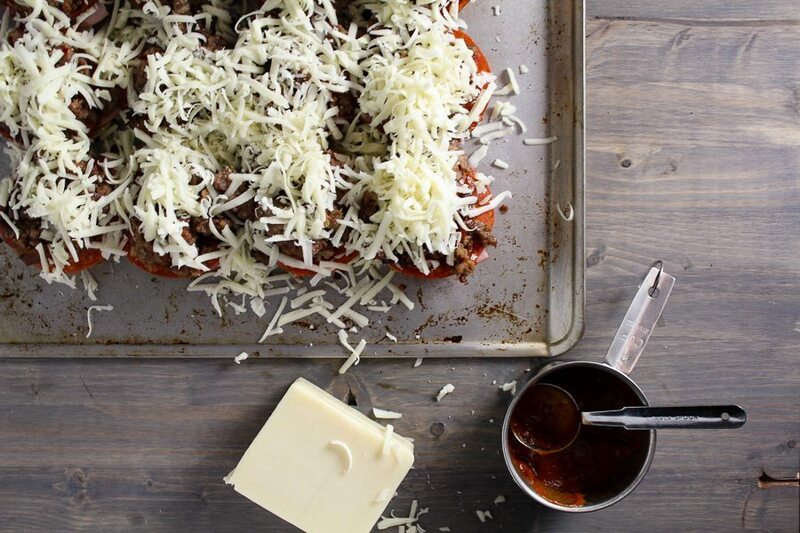 Load your easy pizza sliders up with your favorite cheese. We stuck with the traditional mozzarella. Ooey and gooey. Top with the slider bun tops, brush with the remaining butter mixture and pop the sliders back into the oven. 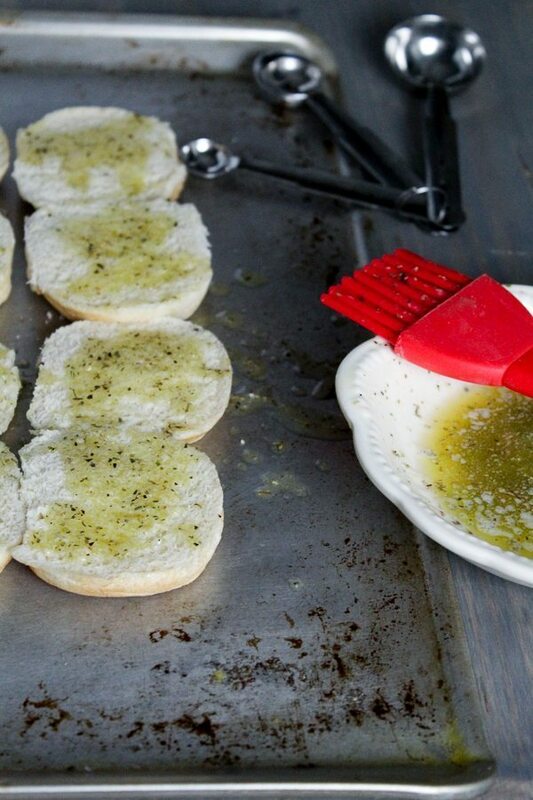 Just a few minutes and your Easy Pizza Sliders will be melted, toasted and ready to eat. Are you looking for more party ideas? How about our Easy BLT Cheese Ball or Crockpot Meatballs? Or our Meat + Cheese Pizza Calzones are always a hit. May we suggest you make a double batch? These sliders will disappear quickly. So…what are you waiting for? 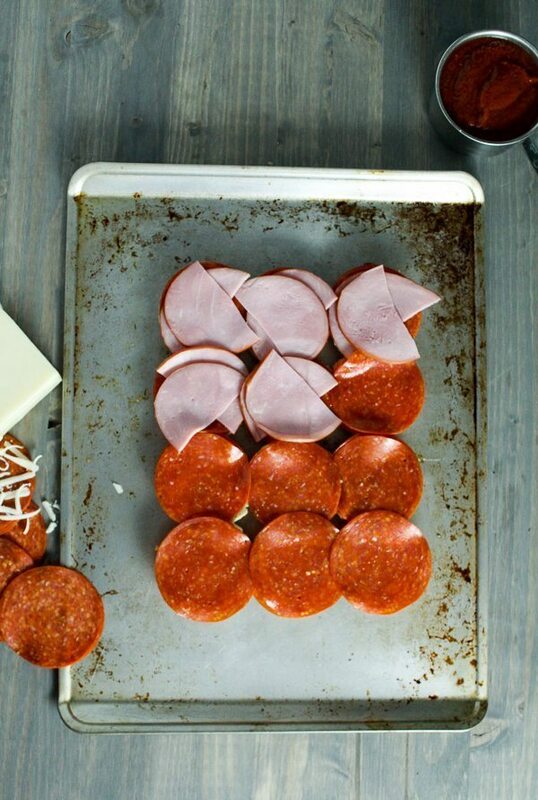 Make these Easy Pizza Sliders…like right now. Everything you love about pizza in a fun slider. Layers of meat, pepperoni and cheese with a zesty sauce, toasted and ready for snacking. 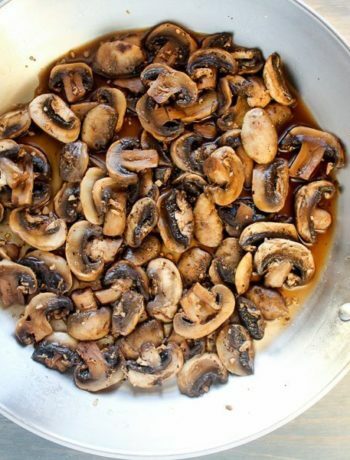 In a small bowl, stir together butter, olive oil, Italian seasoning and garlic powder. Place the bottom slider buns onto a baking sheet or dish. Lightly brush the buns with the butter mixture. Bake for 8 minutes until slightly toasted. 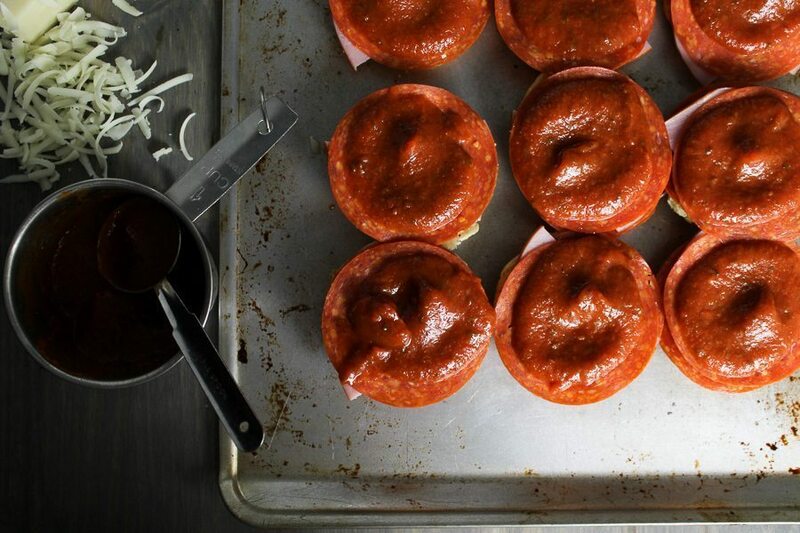 Remove the buns from the oven and top each bun with 2 slices of sandwich sized pepperoni. Layer with the Canadian bacon, and another layer of pepperoni. Spoon 1 tablespoon of sauce on top of each slider. Then cover with the crumbled cooked sausage and sprinkle evenly with cheese. Add the top of the slider buns and brush the remaining butter mixture over the top. Return to the oven and bake for 12 minutes until the tops are toasted and the cheese is melted. Sprinkle with Parmesan cheese if desired, and serve.